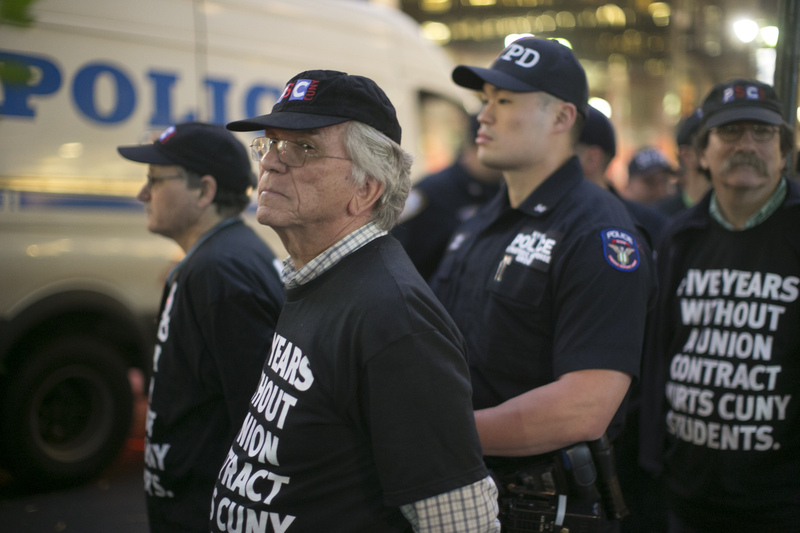 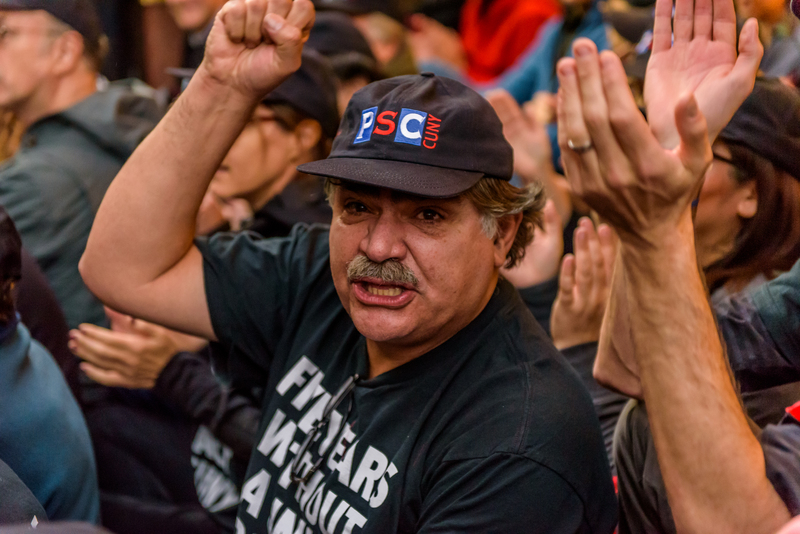 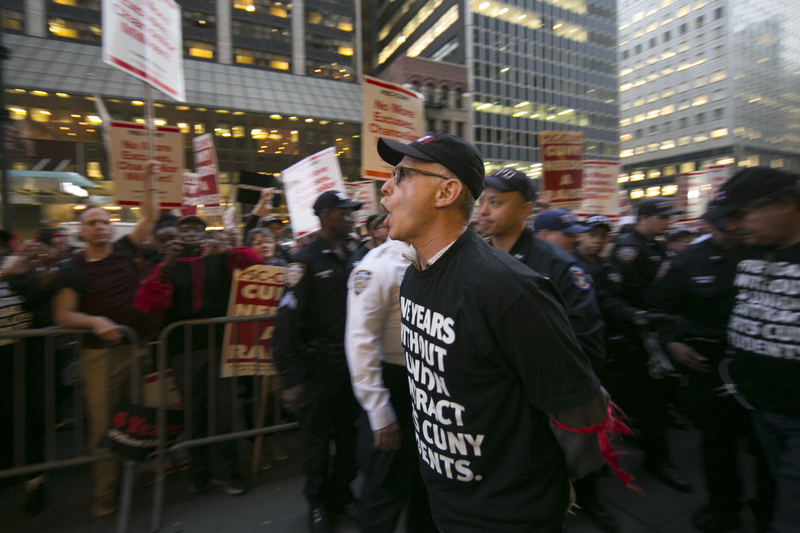 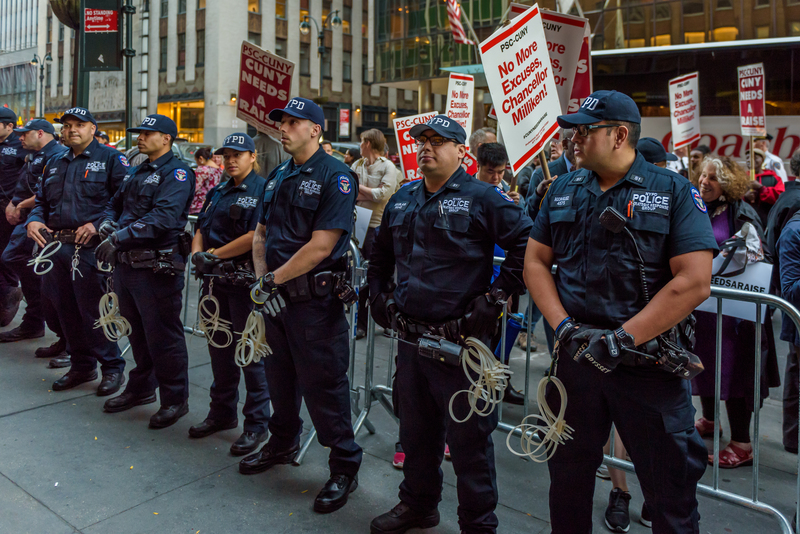 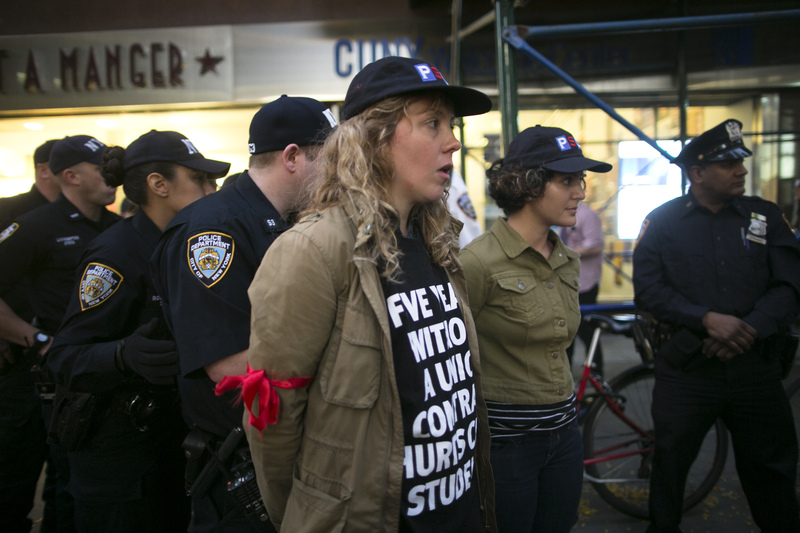 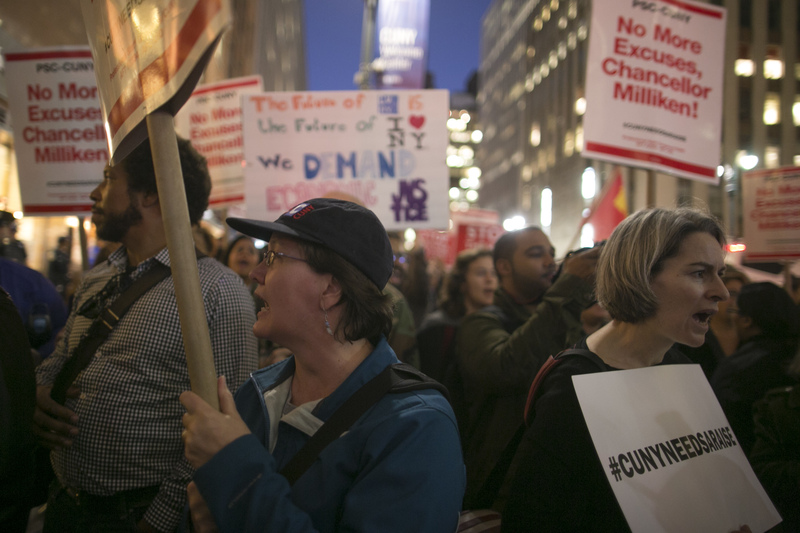 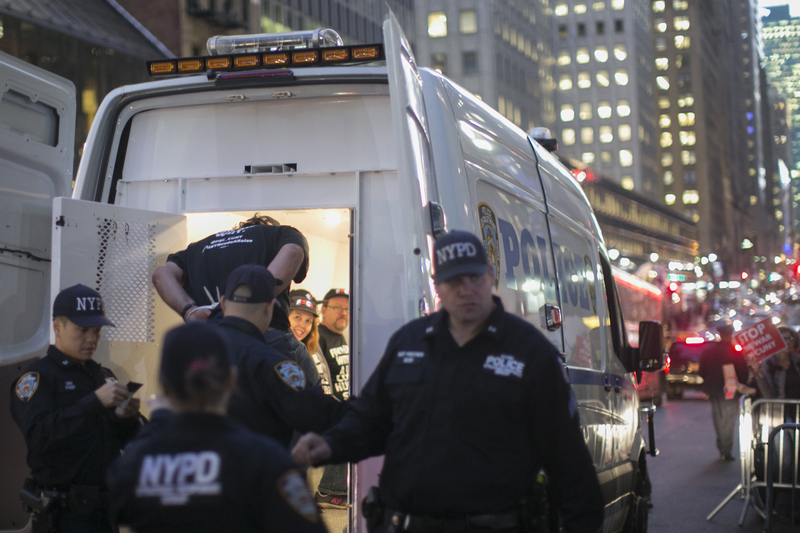 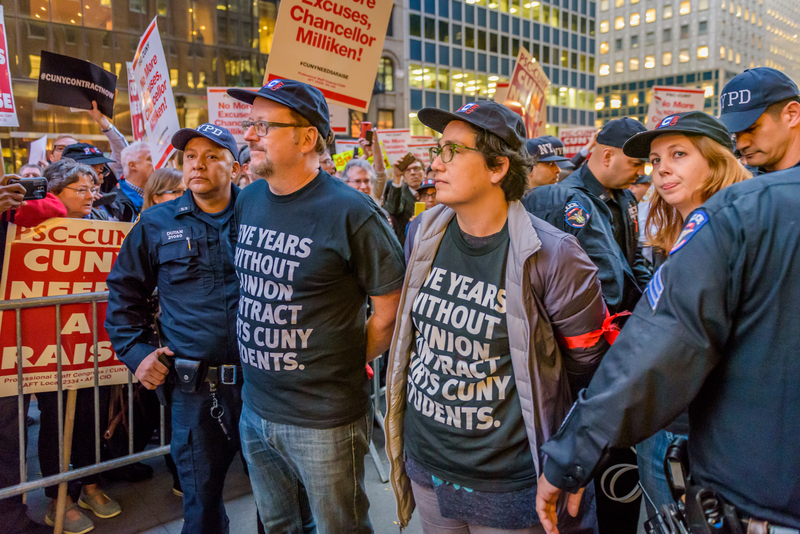 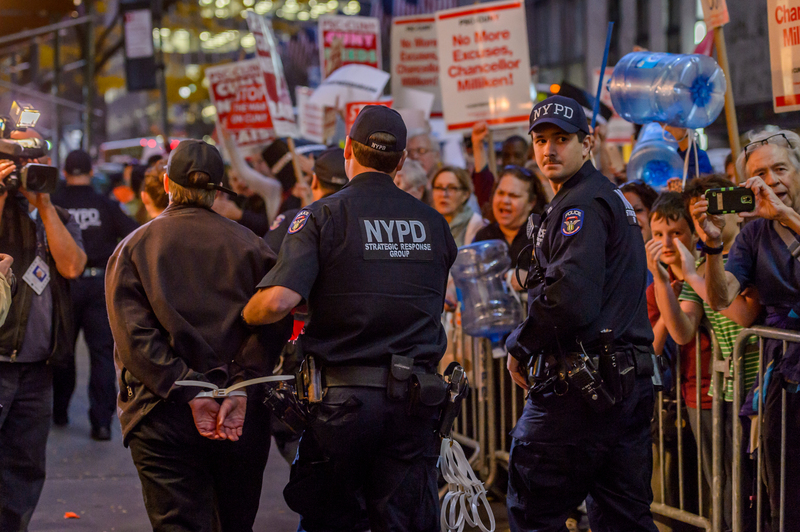 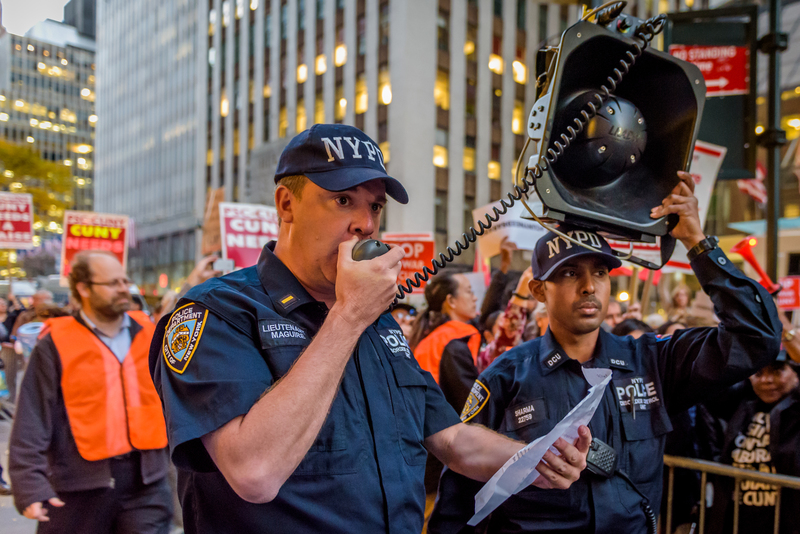 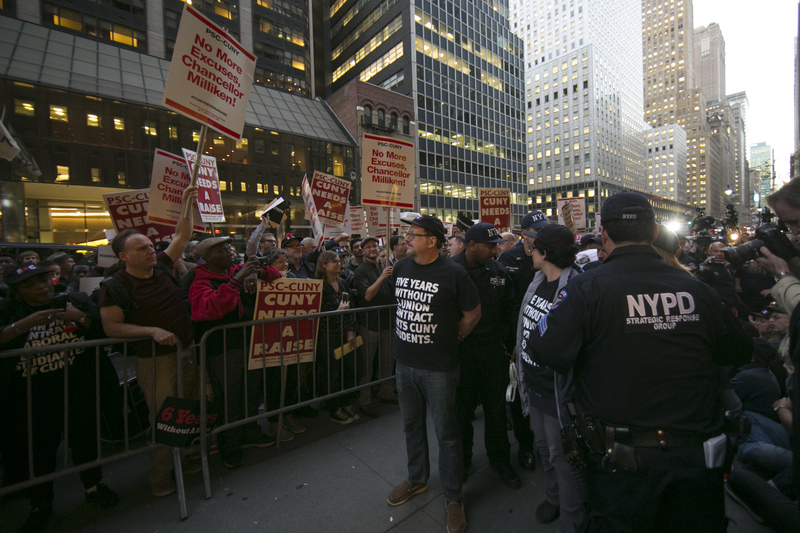 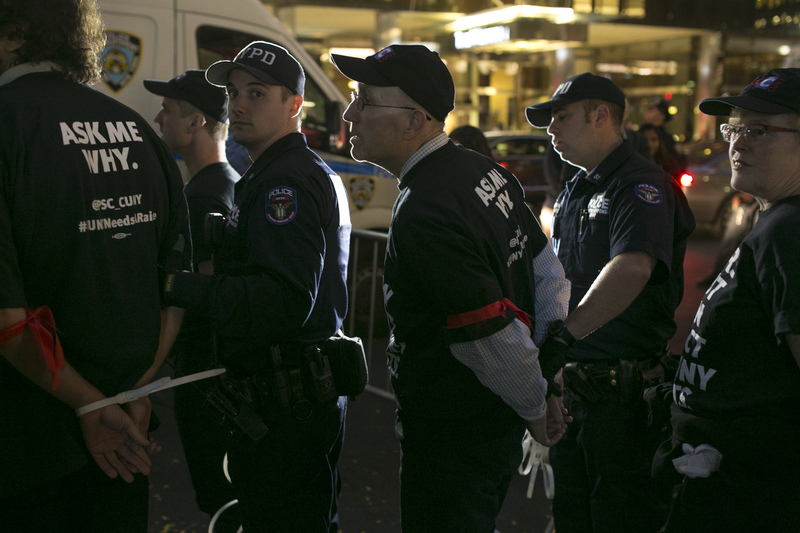 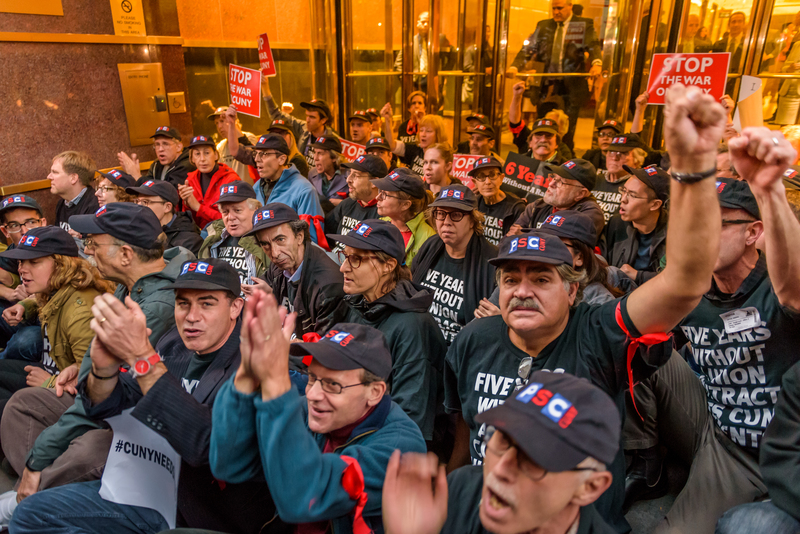 Fifty three CUNY faculty and professional staff were arrested on Wednesday, November 4 demanding a contract that will help CUNY retain excellent professors, ensuring a quality education for the 500,000 CUNY students across the city. 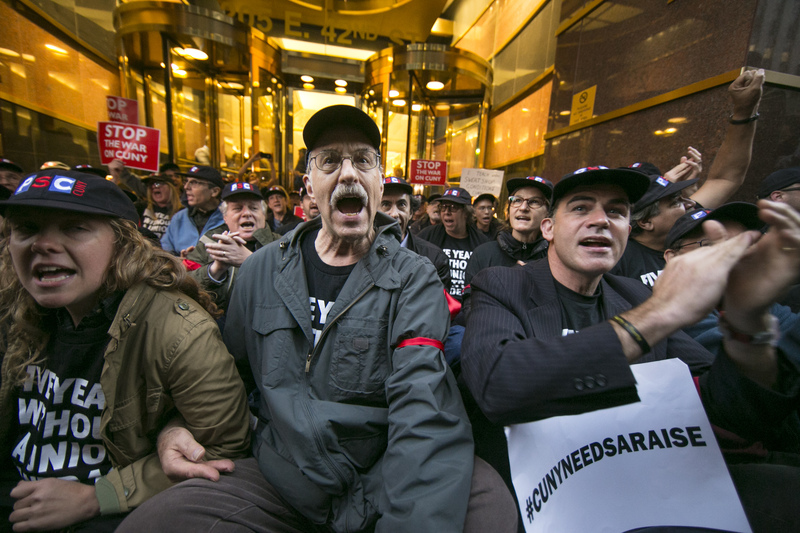 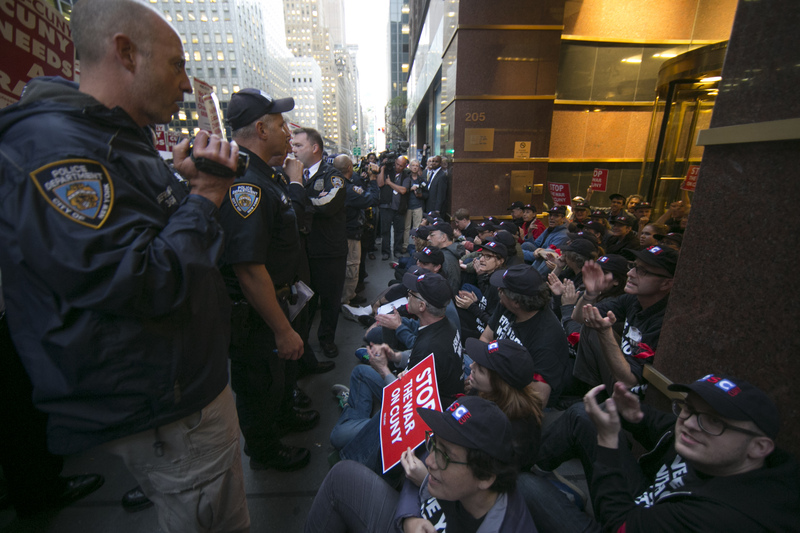 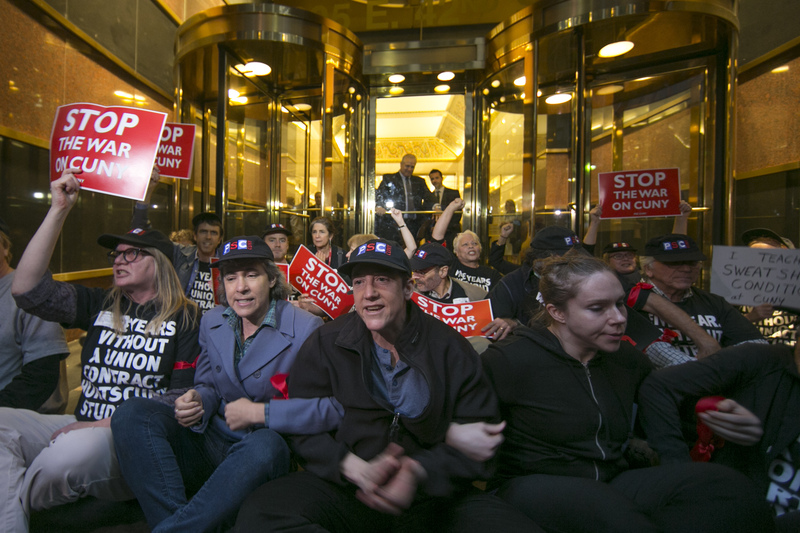 They blocked the doors to the midtown office building housing CUNY’s central administration and refused to move until the university management made a fair offer to resolve their long-expired union contract. 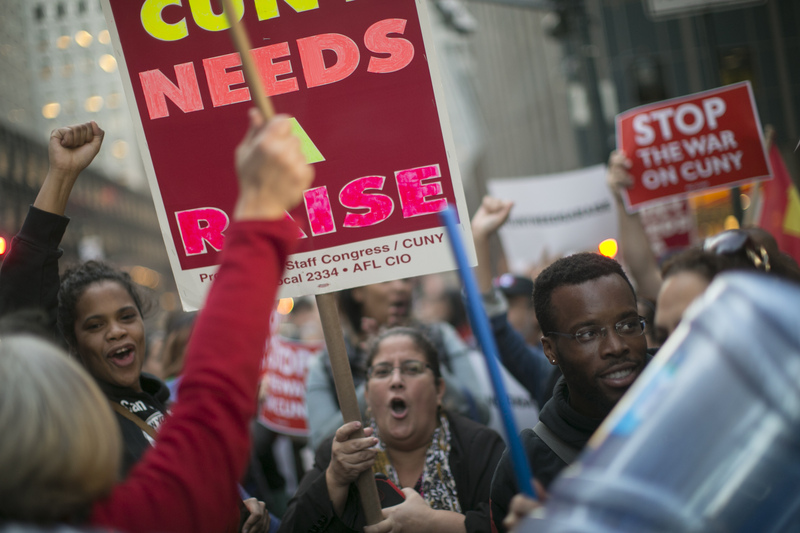 800 faculty, staff, students and supporters rallied to support them.